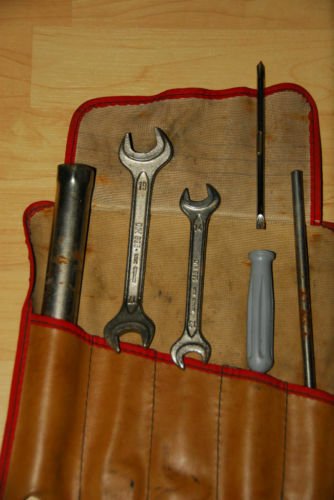 Looking for a 17mm 19mm wrench to complete my tool kit. Open ended only came with the original tool set. The wrench you are looking for should be bent as opposed to straight since it is used to adjust the rear brake shoes. I have several of these wrenches available. Located in Vacaville,CA.